Ethics aims to answer one big question. Ethical beliefs shape the way we live – what we do, what we make and the world we create through our choices. Ethical questions explore what Aristotle called ‘a life well-lived’. Ethics isn’t just an exercise for philosophers or intellectuals. It is at the core of everyday life. We ask ethical questions whenever we think about how we should act. Being ethical is a part of what defines us as human beings. We are rational, thinking, choosing creatures. We all have the capacity to make conscious choices – although we often act out of habit or in line with the views of the crowd. We could all make conscious and conscientious ethical choices if we wanted to. We ask ethical questions whenever we think about how we should act. Being ethical is a part of what defines us as human beings. NEW YORK (MainStreet) — In decades past, bad business ethics might have been defined as stealing a stapler from the office, taking a nap at your desk after lunch or, for executives, skimming off the top. And though business ethics today involve the same examination of moral and social responsibility, what has changed is the introduction of the many ethical breaches connected with new technology and how ethics are recognized and handled in the workplace. For the complete article see below. If you have trouble finding the articles through the link, just copy and paste the title in the search engine like Google, and it will be there. Huntington Memorial Hospital in Pasadena, Calif., has been in the news twice in the past two weeks. But the stories weren’t about one of its doctors discovering a cure or inventing a new life-saving procedure. 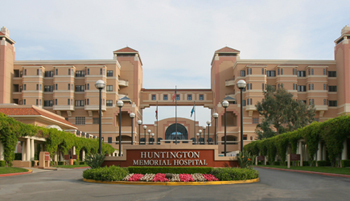 They were about 11 tragic deaths that occurred at the hospital and about the hospital’s costly and illegal union-busting campaign that forced Huntington into signing a settlement agreement with the California Nurses Association. This is what happens when a hospital puts profits over people — its patients as well as its employees. It is emblematic of a larger problem — the corporatization of health care. Casual dating has millennials confused: “Hanging out” and “hooking up” make it difficult for millennials to know if they’re dating. February 14, 2015 — 9:05am Katie Bolin started seeing her boyfriend in December of 2013. But when February rolled around, he didn’t want to make plans for the 14th. “I’ve never been that big on Valentine’s Day, so I had plans with friends,” Bolin said. “But then on Valentine’s Day, he was texting me saying he felt bad” they wouldn’t be together. The two had met through mutual friends and began keeping in touch on Twitter, but they weren’t dating. For months, they were just “hanging out.” “Hanging out is like the pre ‘we’re dating,’ ” Bolin said. “Putting the word ‘date’ on it is stressful — a hang-out is so much less pressure.” For many millennials, traditional dating (drinks, dinner and a movie) is nonexistent. In its place, young people hang out or say they are “just talking.” So when store windows fill with hearts and chocolates and red roses, young couples feel pressure to define their ambiguous relationships. That’s not easy, in part because traditional dating has changed dramatically — and so has the way young people talk about relationships. Twenty-year-old Kassidy McMann said she’s gone out with a few guys, but it wasn’t as serious as dating. “We just called it hanging out,” she said. According to McMann, the widespread fear of rejection among millennials has drawn them to the more casual hang-outs because “they don’t want to have to go through breakups or get hurt.” Kathleen Hull has a more scientific explanation. Hull, a University of Minnesota associate professor of sociology, said that an extended adolescence has altered the dating scene. The “traditional markers of adulthood” — marriage, children and home ownership — now occur later in life than, say, in the 1950s, when going steady in high school often led to marriage. Now, “there’s this long period between going through puberty and getting married that would be a long time to be dating,” she said. “It’s a longer period of transition to adulthood.” Focus on school Twenty-somethings who don’t go to college tend to enter into the adult world more quickly, said Hull. But most college-educated millennials say they have no plans to settle down in the near future. “The actual meaning of dating, at least for college students, has changed,” said Hull. “The practice of dating in the traditional sense has nearly vanished from college campuses.” Karl Trittin agrees. “Most students don’t have time to get into real relationships,” said the freshman, who’s studying economics at the University of Minnesota. “It’s like taking another class.” When young people do get together, “it’s like dating back in the ’90s, like you see on TV shows,” said Cory Ecks, a University of Minnesota marketing senior. “It isn’t necessarily exclusive. It’s casual.” College students often choose to be single while pursuing degrees, as do recent grads who are trying to launch careers. Instead of seriously dating, they dabble in various kinds of casual …. Below is an article on Germany’s Identitarian movement, some consider dangerous.